Everyone has heard a story about someone visiting their doctor, being told they were fine, then collapsing of a heart attack upon leaving the building. You can do everything possible to take care of yourself – eat well, exercise, avoid temptations that could harm your heart, and see your doctor regularly – but if a heart problem is misdiagnosed, you can suffer a heart attack or other cardiovascular complications. February is home to Valentine’s Day. It’s also American Heart Month, when people are encouraged to promote heart health and raise awareness of heart attack risks and symptoms. It’s up to your doctor to know the difference between a heart attack and another health problem. And it’s a doctor’s responsibility to only send you on your way when a firm and confident diagnosis is made that your medical emergency is not a heart attack and not life-threatening. The similarity of symptoms between a heart attack and other medical problems is not the only reasons for misdiagnosis. Sometimes patients don’t fit the profile of a potential heart attack sufferer – they’re a healthy weight, female, have no history of heart disease. Taking a complete medical history. Completing a thorough physical exam. Conducting necessary testing to rule out a heart attack, like an electrocardiogram (EKG). Not overly relying on EKG results. Ordering blood tests in a timely manner. Not overlooking that a young, healthy patient could be having a heart attack. Consulting cardiac specialists when needed. Doctors aren’t always solely to blame in a heart attack misdiagnosis. If an EKG is run improperly or the machine malfunctions, if labs are processed improperly, or a nurse administers the wrong medication, these problems can all lead to cardiac emergencies. And, unfortunately, in some cases a heart attack cannot be anticipated and prevented. Doctors aren’t perfect. They make mistakes. Unfortunately, these errors can be the difference between life and death. A heart attack doesn’t have to be fatal. Prompt diagnosis and treatment can save a heart attack patient’s life and potentially prevent permanent injury. 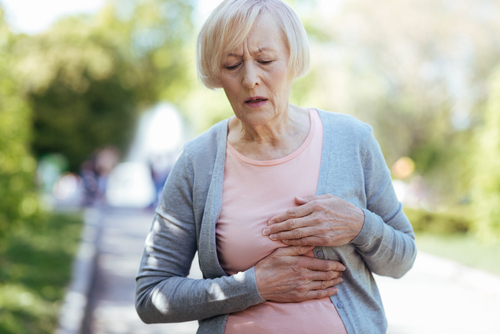 If you have lost a loved one because of a heart attack misdiagnosis, or if you have suffered heart complications because of a delayed diagnosis, schedule a consultation with the Michigan medical malpractice lawyers at Thurswell Law to discuss your situation. Get compensation for your medical bills, lost wages, and pain and suffering. We do not charge any fees unless you collect. Call (248) 354-2222 today.